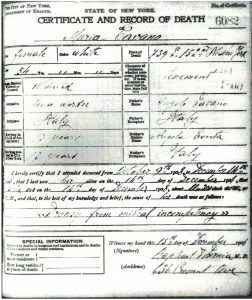 I had my first glimpse of Domenico in New York in the 1900 Federal Census, when he was listed as a prisoner in Sing Sing. Was this my Domenico? The prisoner was older than I thought Domenico should be. Why was he in Sing Sing? What happened to his family? Over the past few years I have pieced together much of his story using newspapers, court records, prison registers, vital records, the federal census, the New York census, city directories, and cemetery records. Last month I was even fortunate enough to visit the church in Naples where Domenico was baptized in 1845. The first big break in all this research happened when I hired a genealogist in Italy to find some basic information for me. His research in Naples revealed that Domenico was, indeed, older than I had estimated. He also found that Domenico and Maria had three children other than my great-grandmother Elisabetta. Once I had this more complete information on the family, which I could not have found without the help of the genealogist in Italy, the gates opened to my research here. …Domenico “learned through a gossiping neighbor that his wife had been bestowing some of her smiles upon” a local pushcart peddler named Giuseppe. The family lived in what is now the Little Italy section of New York City. According to a newspaper account, Domenico “learned through a gossiping neighbor that his wife had been bestowing some of her smiles upon” a local pushcart peddler named Giuseppe. At 10 a.m. one morning, Domenico went to a street corner and waited for this man. When Giuseppe arrived, a struggle ensued. Domenico pulled out a pistol and shot Giuseppe in the head. He died the next day, and on his deathbed proclaimed his love for Maria and said that she was also in love with him. Domenico tried to plead guilty to first degree murder, which the judge told him he could not do. He was eventually convicted of manslaughter and sentenced to ten years in Sing Sing. In 1905 he was released after eight years and rejoined Maria and their children, now aged 17–30, who had moved to the Bronx. Domenico died just a year later aged 61. Maria died a year and a half after Domenico at 52. One of the tougher documents to find was Maria’s death record. Knowing that they lived in the Bronx after Domenico got out of prison, I called cemeteries there to find out where they were buried and learned that they are interred together at St. Raymond’s Cemetery. The cemetery was able to give me their dates of death, and I then requested death certificates from the New York Municipal Archives. I’ve grown very fond of the Caldarelli family. Domenico’s arrived, but the researchers at the archives could not find one for Maria. Not wanting to accept that answer, I put it on my list of things to look into the next time I was able to get to New York. Several months ago I made the trip, and at the archives I found the roll of film containing the death records for that period of time. I went through the records one by one, and there it was. Immediately I knew why the researchers couldn’t find it. The sweeping handwriting on the document made the T of her last name, Tavano, look very much like a C. I went back to the index and the document had, indeed, been indexed under the name Cavano. Mystery solved. I’ve grown very fond of the Caldarelli family. It’s hard to imagine the turmoil they experienced after they immigrated from Italy, and what life must have been like for the family while Domenico was in prison, to say nothing of the period when he returned to live with the family after his incarceration. And the depth and breadth of my research has been a real lesson in the incredible array of resources that are necessary to build a complete picture. I’ve even been researching the history of Sing Sing Prison, because Domenico was imprisoned at a time of tremendous changes in the penal system. Experienced researchers can always benefit from paid professional help. The genealogist I hired in Italy has even helped me track down a wonderful family of cousins in another line of my Italian family. I know he’ll continue to be a wonderful resource in the future. 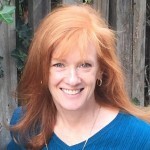 Hi Patty: What a moving story. My husband’s Italian grandfather came from Italy in 1888 — I have yet to find information in Italy although I do know the name of the village. 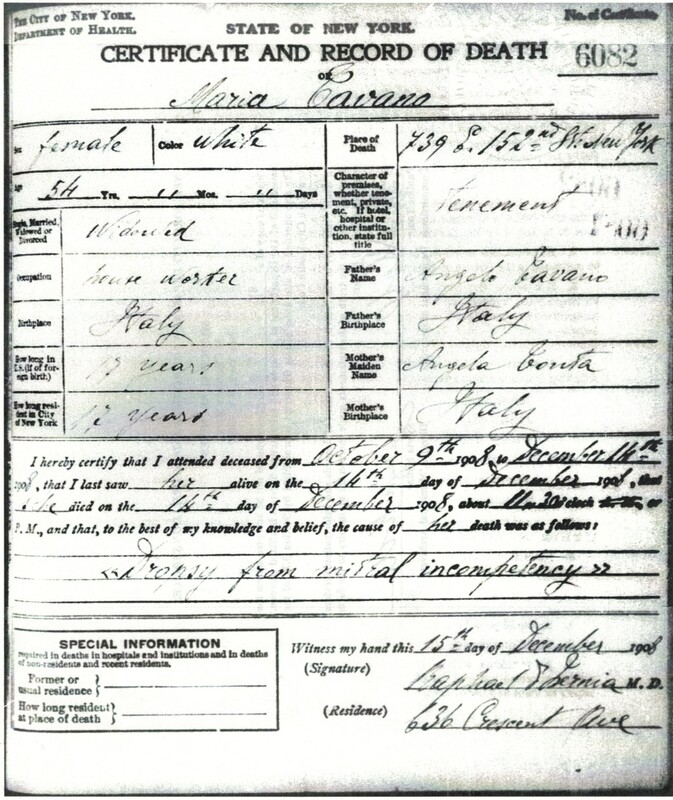 Would you be willing to share the name of the Italian genealogist who was so helpful? Have you searched the catalog on familysearch.org for the name of the town? I’ve been surprised to find the records of so many small Italian towns there. I was able to find my husband’s family in Italy by using town church records in Campobasso, Italy at my local Mormon Library. I rented the (films) records and searched through them and not only found my husbands father but several generations of the family.